I know I should have posted this earlier, but we all know ho busy it gets a Christmas time. Scroll down the page to look for the free Christmas issue. For the first time in its history, HM Magazine is making their annual Christmas issue FREE via the internet. Traditionally, only subscribers have received the special Christmas issue which features HM’s unique brand of editorial, commentary and reviews along with a “Christmas Gift Guide” with images, text and links along with a special “Dear Mom, This is what I really want for Christmas” checklist form for readers to pass along to their favorite gift givers complete with listings of featured products and websites. 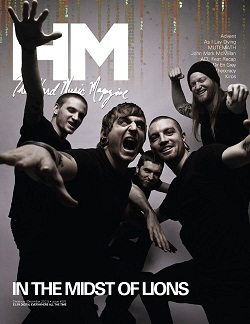 For a limited time, this special issue of HM Magazine is available FREE online at http://t.ymlp296.net/qqsakaesmeaxawqagauej/click.php. HM’s regular subscription price is $6 for 12 issues per year. 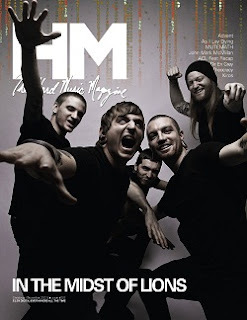 This special Christmas issue features editorial on In the Midst of Lions, MUTEMATH, John Mark McMillan, Leigh Nash, As I Lay Dying, Theocracy, Advent, Altars, Manic Drive, Greeley Estates, Run Kid Run,The Great Commission, Manafest, Family Force 5, Kiros, Behold the Kingdom, Close Your Eyes, and Damien Deadson. The Live Report recaps the 2011 ACL Festival.